With the help of a volunteer from AE911Truth.org, Wayne Coste, three members of my local community and I engaged in a correspondence with NIST that was “shepherded” by our congressman’s office. Our complete correspondence can be found here: All Three Letters and Responses. In the first letter we asked three questions: (1) How does NIST explain building 7’s 2.2 seconds of free fall, and the apparent visual discrepancy between video of the collapse and NIST’s visualization based on their computer simulation? 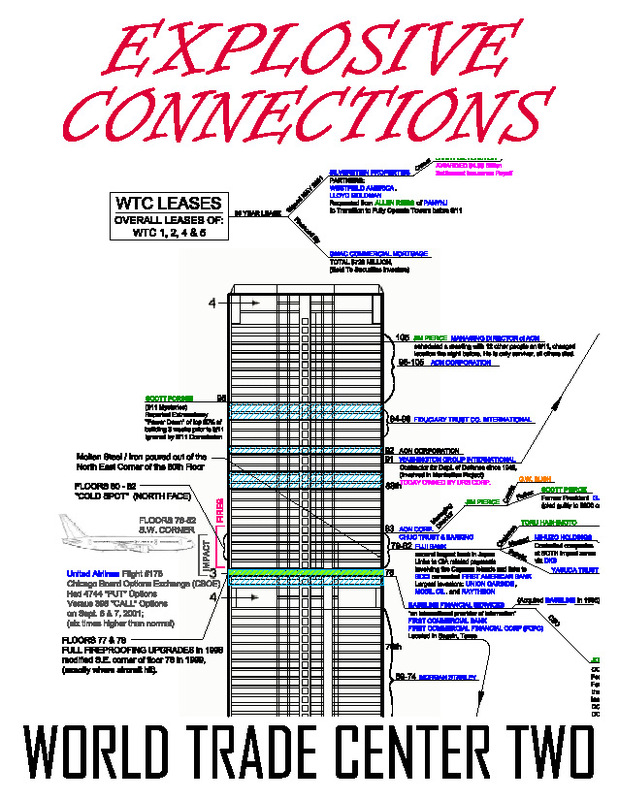 (2) How does NIST explain the documented presence of nano-thermite in the WTC dust? (We cite the relevant article.) And, (3) how does NIST explain he the abundance of iron-rich microspheres in the dust? Our other two letters are follow-ups regarding NIST’s initial answers. Our third letter summarizes and puts the whole thing in context. Below I’ve pasted the text of (most of) our third letter, which summarizes the first two. Below that I’ve included NIST’s final response. This May 10, 2011 interview of Dr. Niels Harrit, Associate Professor Emeritus of Chemistry at the University of Copenhagen, was conducted by Michael Rudin of the BBC. Apologies if this has already been posted, but in this interview, Harrit deals brilliantly with the persistance of Michael Rudin who tries to lead Harrit into speculation and straw man arguments. Worth watching right through, or jump to 2hr 5 min 25 sec and hear Niels speak of why this case needs investigating. Really inspiring. And also illuminating - the interviewer jumps through hoops of his own making to hold onto his convictions. Dr. Niels Harrit, now on a lecture tour of Canadian universities, has been speaking to capacity crowds across the country, including university faculty members and other professional people. In Victoria, BC, Dr. Harrit was interviewed by local cable TV, where his interview will be available eight times to a large regional population on an upcoming weekend. "There is no doubt that this building was taken down in a controlled demolition...there is no way around this conclusion." Dr. Niels Harrit (retired associate professor of chemistry) and his team at the University of Copenhagen published a paper in The Open Chemical Physics Journal and verified that red/grey particles of non-reacted nanothermite was found in the dust of the WTC buildings. This finding is irrevocable proof -- the veritable DNA -- that "office fires" and jet planes did not bring down the three buildings on that fateful day. 9/11 has been the prima facie excuse for incursions of the U.S. and NATO into foreign nations, the sole justification for suspension of our domestic civil liberties and the common denominator of "The War on Terror". This interview traces Dr. Harrit's personal and professional journey into and through the events of 9/11 and beyond. A peer-reviewer of the "Active Thermitic Materials" paper identifies himself... Great! Credibility is everything, and when the deniers of 911 truth can't accept the facts at face value specifically because they take comfort in the credentials of others who don't want to hear the facts, there is a need to expose conflict of interests. In an ongoing discussion between myself and a good friend about credibility issues of the main players in the 911 research scene, my friend scoffs at Jones by sighting the resignation of Pileni as editor after Jones, Harrit et al. were able to publish the findings of the nano-thermite. .. she states that she is aware that the Jones submission may have a political viewpoint. It should be noted that her own viewpoint is probably affected by the fact that she is a faculty member of Georgia Tech, essentially an academic arm of the defense industry which the website makes clear. EXCLUSIVE INTERVIEW! Physicist Steven Jones "911 Explosive Evidence - Experts speak out"
"911 Explosive Evidence - Experts speak out"
using the scientific method. 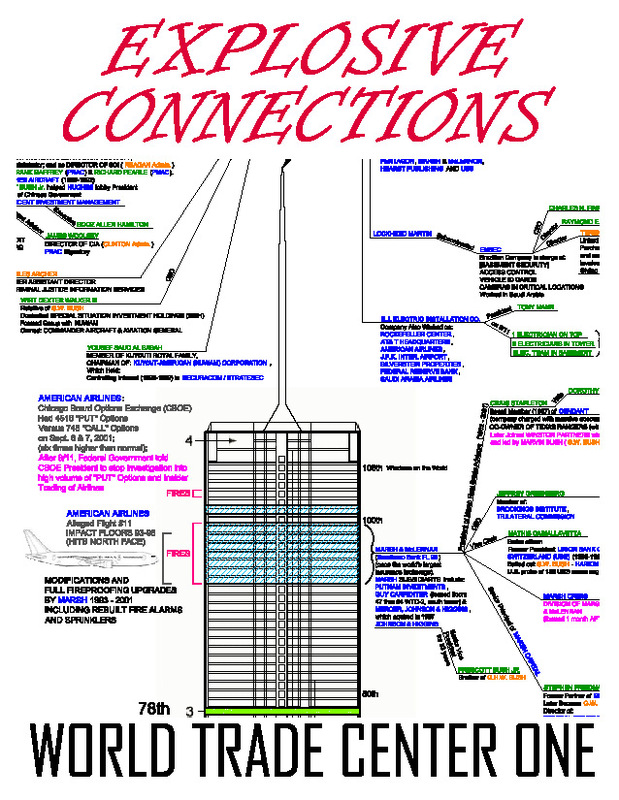 Chain of custody of the WTC dust and nanothermite are discussed in depth. You may have noticed that the "Active Thermitic Material" paper by Niels Harrit, et al., along with other papers, has been missing from Bentham Open for more than a week. The paper is back, at a new URL: http://www.bentham.org/open/tocpj/articles/V002/7TOCPJ.pdf. Update your links! The 9-11 Truth Movement has clearly won the fight! AS THE DUST SETTLES... Danish Scientist Finds Evidence of Nano-Thermite in WTC dust. “Brought down by mixture of explosives"
I interviewed Dr. Neils Harrit, PhD from Copenhagen Denmark, on the ninth anniversary of the September 11th attacks, about his research and findings. Below this press release, you will find my interview. Explosive Connections: Initial draft release. This is only the initial draft release and not all inclusive. I fully expect additions and corrections which I will periodically revise as new and better information surfaces. On the eve of the 9th anniversary of 9/11, support for the war in Afghanistan took a serious blow today. Simultaneous press conferences were held in New York and Los Angeles to present startling new information refuting the official 9/11 narrative used to justify the war. Also announced were three major professional groups which have joined the worldwide, and ever-growing, “9/11 Truth Movement”. In a striking show of unity, representatives of “Scientists for 9/11 Truth”, “U.S. Military Officers for 9/11 Truth” and “Actors & Artists for 9/11 Truth” presented their findings and unveiled their eye-opening websites. Each non-profit group has launched a petition calling for a new, transparent investigation. The results of the examination are striking. They reveal a phenomenon never before observed in building fires: eutectic reactions, which caused "intergranular melting capable of turning a solid steel girder into Swiss cheese." The New York Times described this as "perhaps the deepest mystery uncovered in the investigation." 2 WPI provides a graphic summary of the phenomenon. A highly anticipated debate between two members of Architects and Engineers for 9-11 Truth and two physicists is scheduled for August 21, 2010. The debate will air on the popular late night talk show Coast to Coast AM with host Ian Punnett between 10pm - 2am Pacific time. Richard Gage, AIA, founder of Architects and Engineers for 9-11 Truth and an architect for over twenty years, will be joined by Danish scientist, Niels Harrit, Associate Professor at University of Copenhagen—a chemist and university teacher with expertise in organic chemistry, photochemistry, fluorescence, and nanotechnology. Harrit co-authored a peer-reviewed paper along with Dr. Steven Jones and several others, documenting their discovery of a highly energetic, nano-engineered form of thermite in World Trade Center dust. In its ordinary form, thermite, a mixture of iron oxide and aluminum powder, burns extremely hot –around 4500° F. – more than hot enough to melt iron, which melts at around 2700° F. Gage and Harrit will present evidence that the three World Trade Center skyscrapers were explosively demolished on September 11, 2001.